ESPN’s Adam Schefter is reporting that Detroit Lions star wide receiver Calvin Johnson has told his friends and family—as well as Lions coach Jim Caldwell—that he is planning to retire. Important to note: Caldwell told Calvin Johnson not to rush decision, to take time. Out of respect to Caldwell, Johnson agreed to do that. Johnson’s teammates have already started to salute the three-time All-Pro. 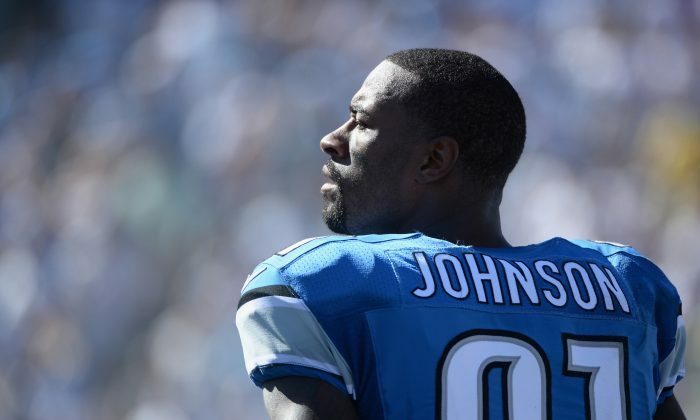 The loss of Johnson would be a significant one to a Lions team that went 7–9 last season. The 6-foot-5, 240-pound Johnson played in all 16 games and caught 88 passes for 1,214 yards for his seventh 1,000-yard receiving season. In addition to his three All-Pro picks, “Megatron” was selected to five Pro Bowls and had one of the greatest seasons ever by a wide receiver in 2012. In that memorable season Johnson set an NFL record with 1,964 receiving yards, while his 122 catches were not only tops in the NFL, but the seventh-best one-year total of all-time. Should the 31-year-old retire now, his Hall of Fame credentials will make for an interesting case as longevity is part of the criteria. Should he retire now, Johnson’s 731 receptions rank him 43rd all-time while his 11,619 receiving yards are 27th-best and his 83 touchdown grabs rank him 22nd in NFL history. Those are just so-so totals when comparing with most HOF greats. Yet, with former Denver running back Terrell Davis—who only managed four full seasons and parts of three others in his short-but-sweet NFL career—becoming a finalist for the HOF this season, the voters are starting to look at how good a player was in his prime more than his longevity. Johnson is generally considered the best of his generation. Panthers tackle Michael Oher, whose real-life story was behind the movie 'The Blind Side', posted a picture with his parents after the NFC title game win. It's safe to say Mike Martz wasn't a fan of Terrell Owens' antics.